If you are looking for information on the C2 Educational Centers franchise business opportunity, C2 Educational Center franchises or C2 Educational Centers franchising, then you have come to the right place. C2 was founded in 1997 by Harvard University graduates. As of Jan 2006, we have 48 corporate and 24 franchise centers located in NY, NJ, PA, MD, VA, GA, FL, TX, WA, IL, and South Korea. Great system and support. Results with students consistently exceed those of our competitors. The C2 Diagnostic Evaluation - C2 students experience results quickly because our one-of-a-kind diagnostic evaluates academic needs and mastery of study skills. Customized Curriculum - We tailor a curriculum to each student's specific needs, to make sure every student learns. 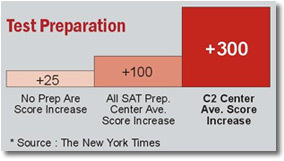 Elite Instructors - All our teachers scored above the 95th SAT percentile. Our staff is simply the most qualified in the country. Progress Monitoring - Constant adjustments every 20-30 instruction hours ensure students reach maximum potential both in and out of the classroom. Guaranteed Results - To date, every one of our students has shown grade or score improvements. In fact, we guarantee a 350 point SAT score increase! 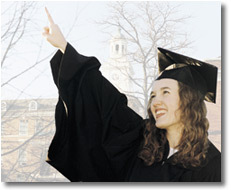 C2 Educational Centers, Inc. was founded in 1997 in Cambridge, Massachusetts. What began as a modest home-based tutoring service rapidly expanded across ten different states, and C2 has since become the fastest-growing educational services provider in the country. But what makes us special is that we haven't lost sight of our humble beginnings. We started as a dedicated family of educators providing individualized tutoring to students of all types, and - unlike our competitors - we've stayed that way. C2 can provide corporate real estate brokers to aid in securing a site and negotiating a lease at any location in the country. C2 will assist in store design and layout at all steps in the process, including providing construction specifications for contractors. C2 provides a comprehensive two-week training program at its corporate headquarters in Atlanta, GA, to all franchisees in order to ensure their success. C2 equips franchisees with a detailed, constantly-updated Operations Manual and full access to the company's extensive marketing materials.